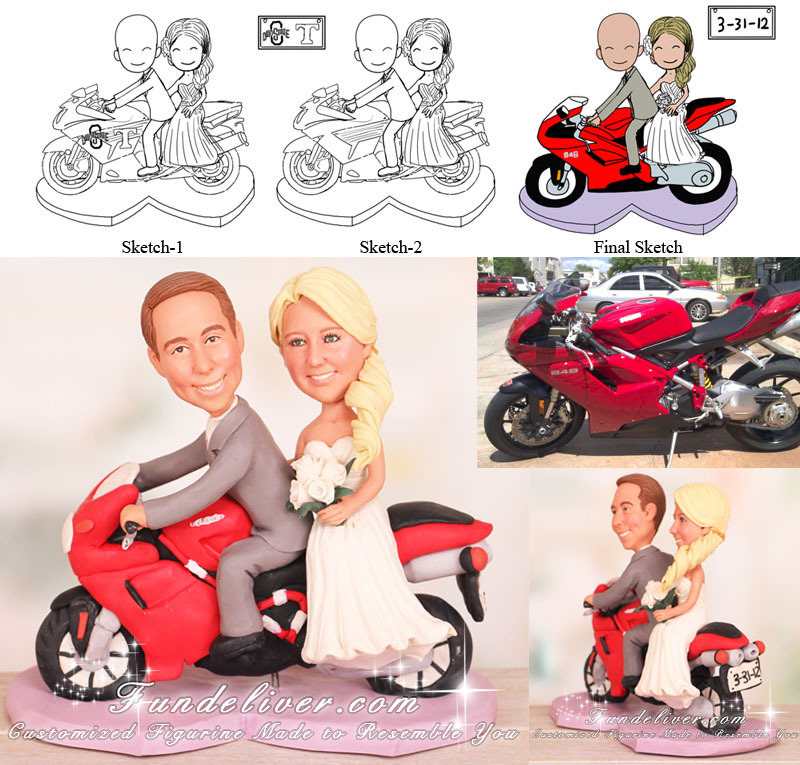 This is a completely customized bride and groom riding Ducati motorcycle wedding cake topper ordered by one of our customers. The groom proposed to the bride on the Ducati, so they would like to incorporate this red Ducati motorcycle into their wedding cake topper. 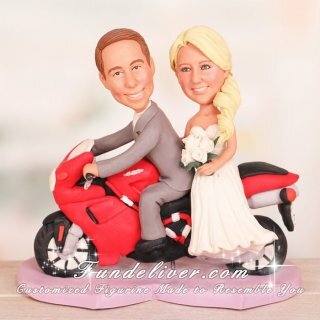 The groom’s figurine is in his grey tux driving bike with her on back and the bride’s figurine wears a ponytail with some white flowers hair accessory on the side. He is a big University of Tennessee fan and she is a big Ohio State fan, so in their original plan, they wanted to put something with the two university logos on the tank of their bike. But after checking the first sketch as above, they prefer to remove them, but change the license plate to 3-31-2012, as it is their wedding date. Their wedding color is lilac, so we designed a double heart lilac base to match their wedding color. Want to incorporate your bike into your wedding? What is your favorite band? Just send us your bike pictures, we can replicate it to match your wedding perfectly.